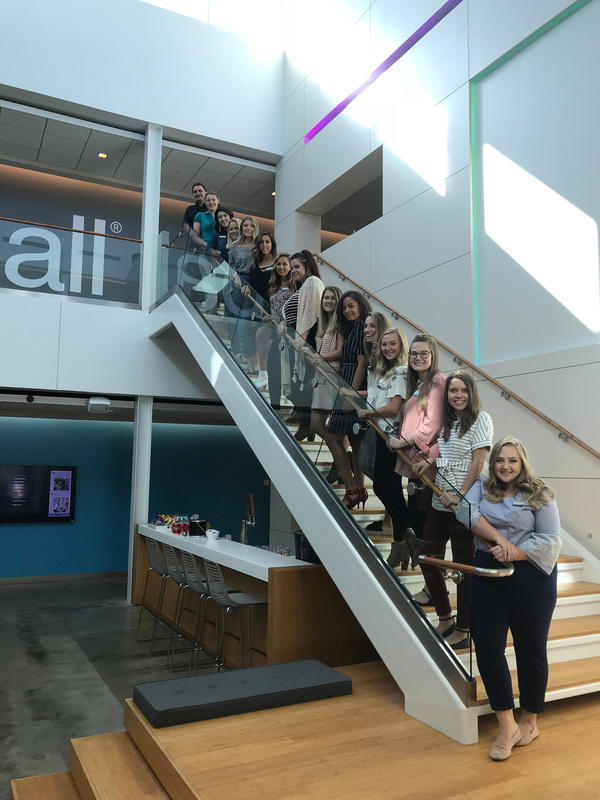 September 12, 2018, WVU School of Interior Design students visited the headquarters of Kimball® Office in Jasper, Indiana. 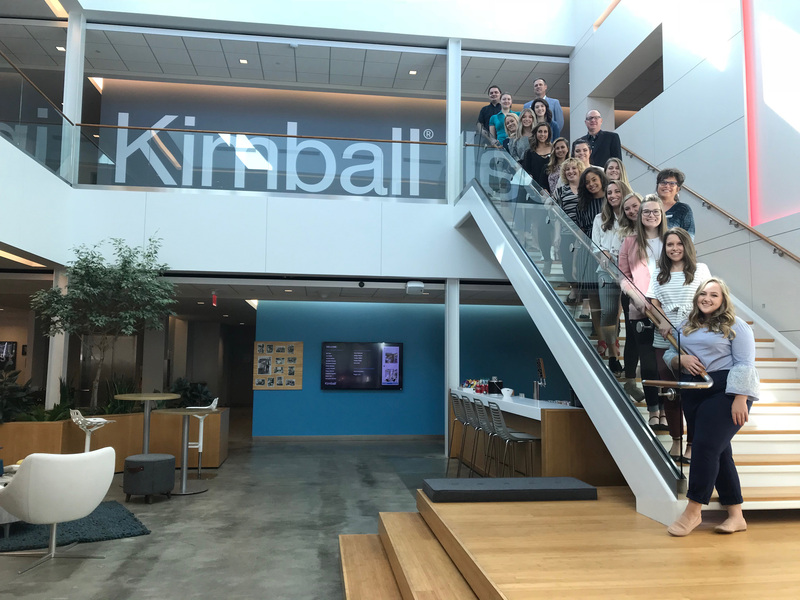 Design students saw first hand Kimball® Corporate Office, their manufacturing processes, quality control and testing procedures. 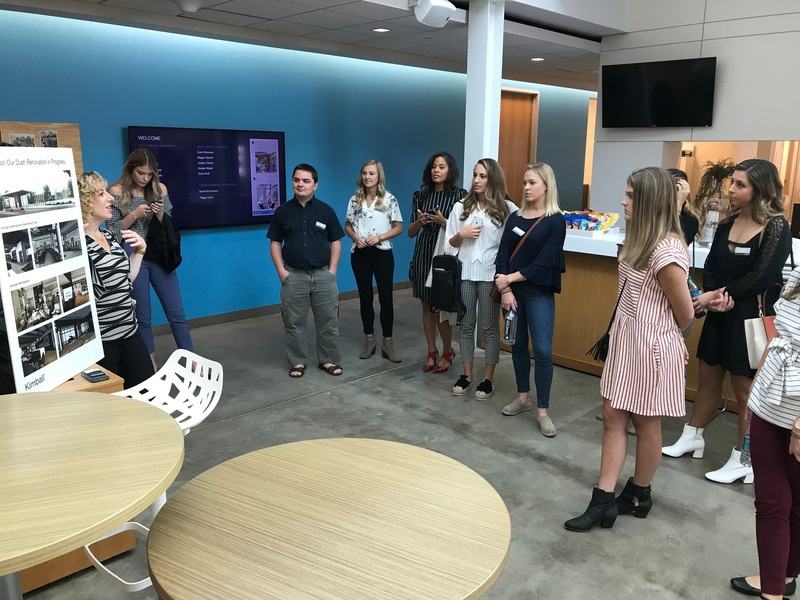 Experiencing Kimball’s culture, a premier office furniture manufacturer of the United States, enlightens the School of Interior Design students and is irreplaceable. 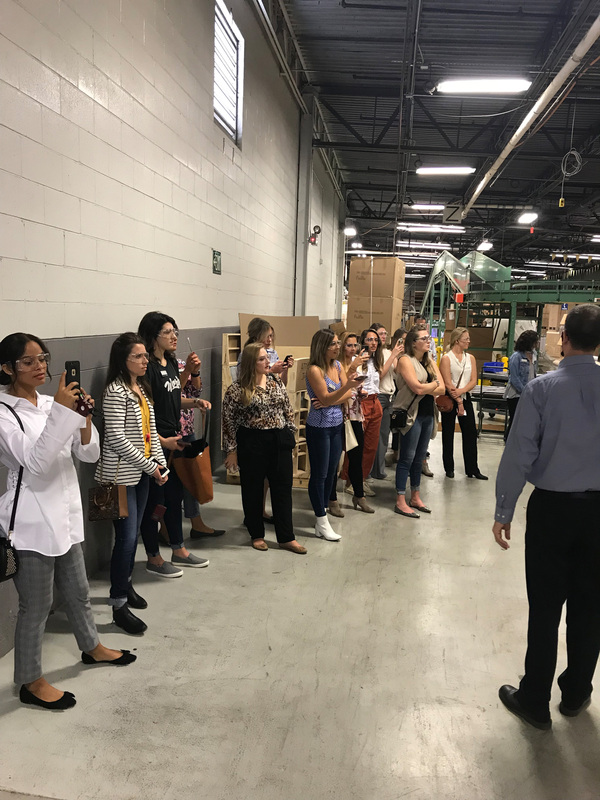 Through Omega’s partnership with the WVU School of Interior Design, the trip participants were involved and received exposure to formal speakers, live projects, and complicated processes. 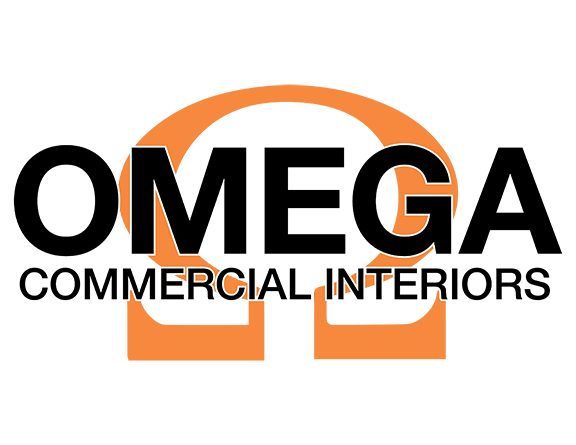 This is just another way that Omega Commercial Interiors is giving back to their community. 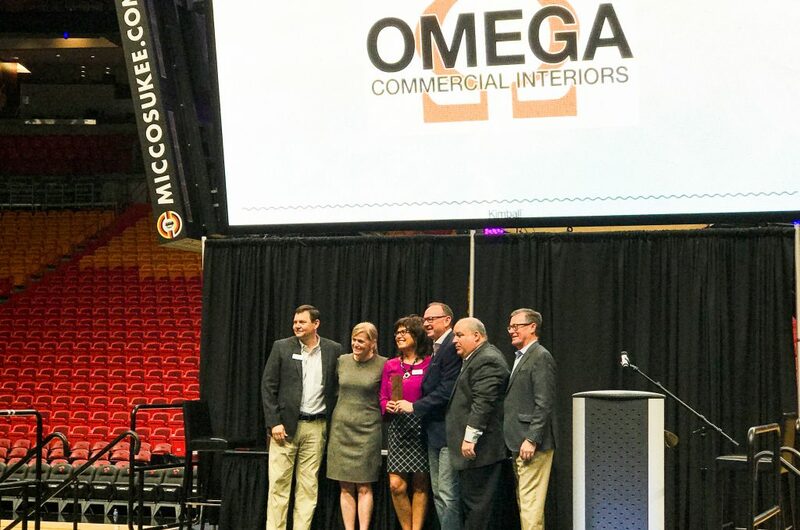 Omega Commercial Interiors was nominated as a finalist for Dealer of the Year by Kimball® for 2018. Omega Commercial Interiors is a Select Dealer for Kimball®. 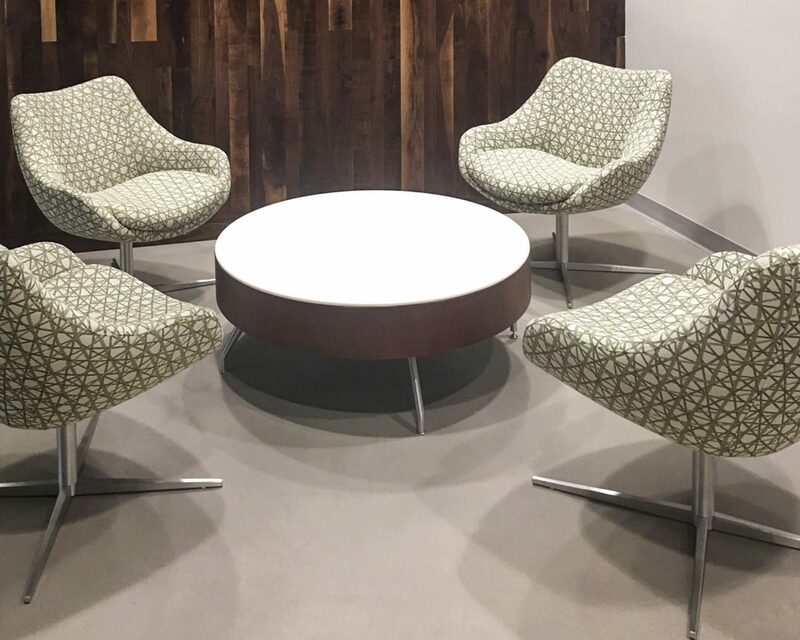 Kimball® represents over half of Omega Commercial Interiors’ sales because of their quality product. 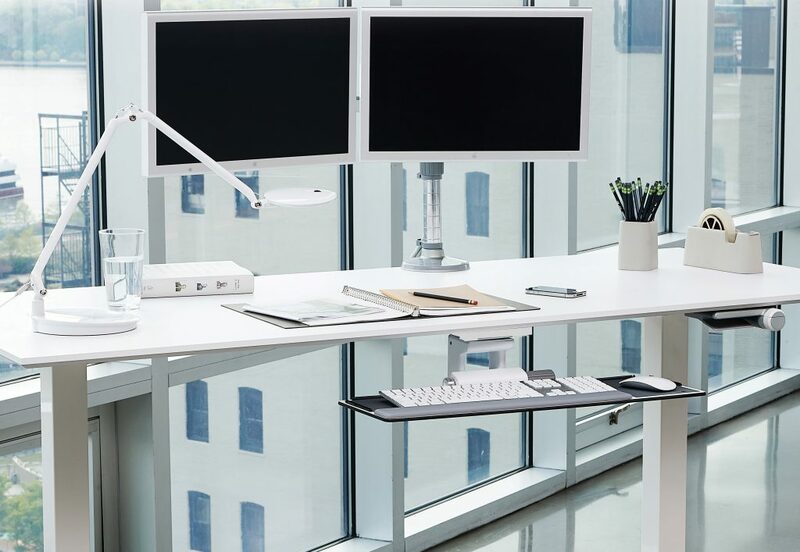 They are a leader in the furniture industry and a company that has established a valuable reputation in the Interior Design field. David McCormick and Peggy Lovio both agree that it is an invaluable experience for the WVU School of Interior Design students. For more information about our interior designers, visit our staff page. 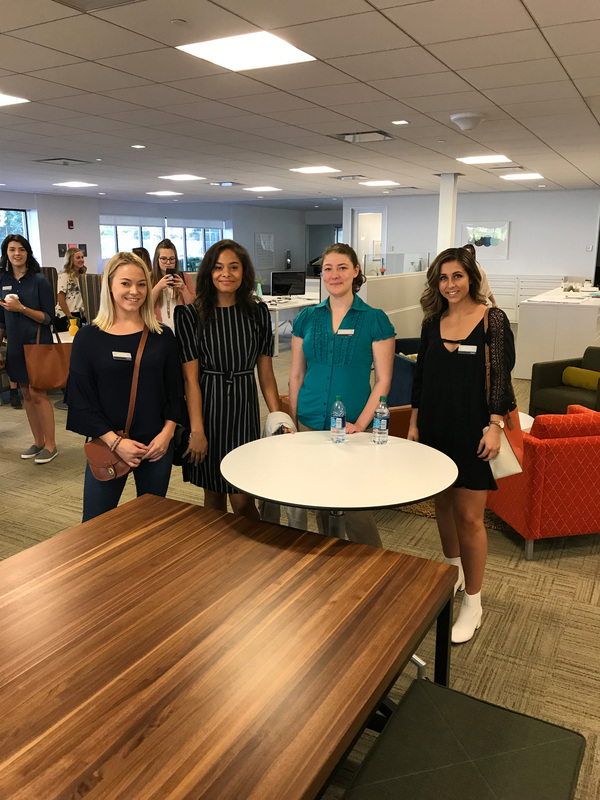 Through Omega’s partnership with WVU School of Interior Design, Omega has worked with interns and hired from West Virginia University since they opened.